On 21 January, Luis González, MUST coordinator, presented the project at a Teacher Conference held at IES Figueras Pacheco in Alicante city. The aim of the conference was to present recent developments in Science & Technology teaching in the schools in the Alicante region. More than 50 teachers attended the event and showed their interest about the project outputs. 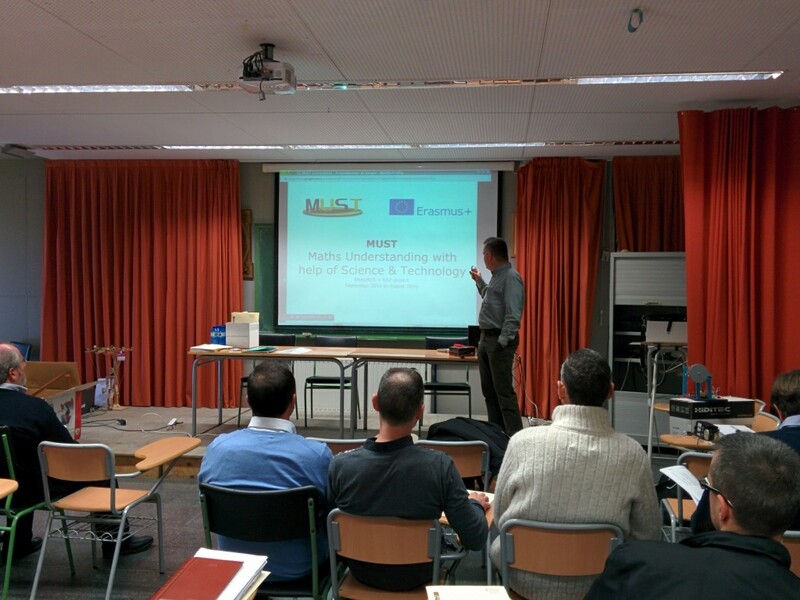 After the coordinator presentation, Emilio Moncho and Josep Perez gave an introduction to the MUST Physics & Maths teacher trainning courses which are ready to start in early February. This entry was posted in Teacher Training on 22 January, 2015 by cabernat.